Government housing white paper: worth the wait? The prospect of the housing white paper has been tantalising at least some of us involved in shaping and developing the built environment for some months now. Was it worth the wait, asks our Director of Planning and Economic Regeneration Mel Clinton? The white paper acknowledges that we have a housing crisis, a term that encapsulates our collective failure to provide sufficient homes of the right type in the right places, with the result that many households can’t afford a home to buy or rent that adequately meets their needs. Or, if they can, it takes up such a disproportionate amount of their income that opportunities in other areas of life are curtailed. It is a crisis because housing is fundamental to personal and community wellbeing and is vital to economic productivity and growth. Understanding the underlying causes is a prerequisite of effective action to address the challenges presented. The white paper identifies the causes as threefold: not enough local authorities planning for the homes they need; house building that is simply too slow; and a construction industry that is too reliant on a small number of big players. These are all important contributors to the problem and could be said to broadly encapsulate the causes. However, there is one factor that is not explicitly identified and I will come to that below. In terms of addressing the identified causes, there are some important measures put forward. Under resourcing of planning departments is an acknowledged problem across the industry and the proposals to allow local authority fee increases, alongside continued engagement on improving performance, will be widely welcomed. Planning for the right homes in the right places is a key heading and if we are to have an effective plan-led system this is clearly vital. We have, for example, looked at the differential between housing numbers proposed in Local Plans when submitted for Examination and the total when plans finally become adopted. In the West of England area, for instance, the housing total rose by 23% through the Examination process, compared to the numbers originally proposed in Local Plans. The proposal to work towards a common approach to assessing housing need is therefore a very welcome step, alongside measures to ensure that every area has an up to date plan, but allowing flexibility to respond to local circumstances in terms of the nature and format of plan coverage. 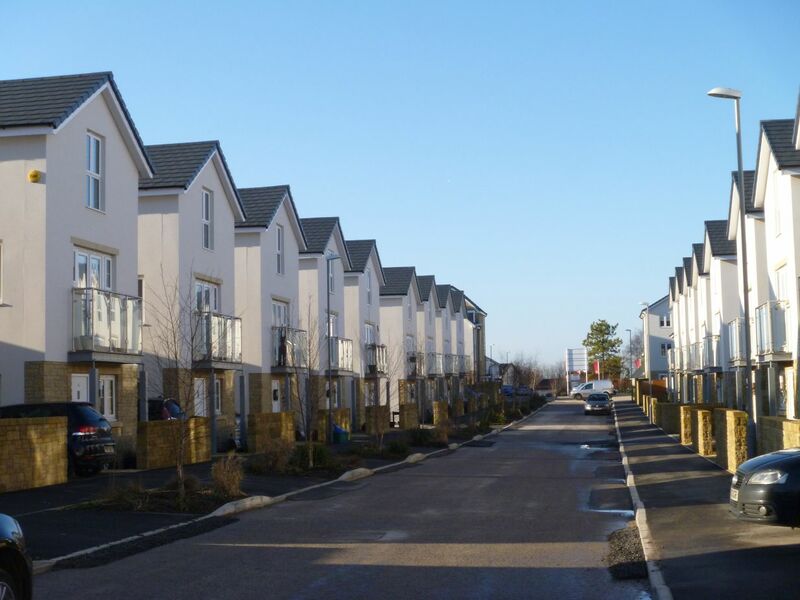 At neighbourhood planning level, the proposal to enable Neighbourhood Plan areas to request a housing requirement figure for their area will help in ensuring speedier and more effective Neighbourhood Plans. At present, many are left to their own devices in determining what proportion of a housing total across the district or part of it should be planned for in the Neighbourhood Plan. Speeding up delivery is rightly a priority and the emphasis on infrastructure to support housing delivery is particularly important. Related to this, there is mention of an intention to reform the system of developer contributions to make it simpler, quicker and more transparent and this is something to be supported. Other measures, including those aimed at sharpening up the focus of both local authorities and developers on delivery rates, could prove tricky in practice, with potential unintended consequences. The suggested two-year limit for implementing planning permissions would certainly focus minds on getting on with delivery but could simply lead to minimal works being undertaken to keep a permission extant or potentially might lead to further delay on some large schemes if a renewal application becomes necessary. Diversifying the market is perhaps the major issue. Here, the analysis of the underlying causes of the housing crisis contains a very noticeable omission and that is the correlation between the steep drop-off in local authority housebuilding since the late 1970s, a corresponding fall in total supply and an exponential rise in housing benefit expenditure. This points up an issue about the direction and priorities for public expenditure. Many local authorities have come to the conclusion that without significant delivery by Councils, the gap in under-supply will not be filled. As a result, local authority housing delivery companies have and are being set up. It is essential to draw on the energy and resources of all sectors, private, public and community, and in this respect the white paper’s intention of backing local authorities and housing associations is welcome. They can play a role, working with private sector partners, facilitating custom build, leading on land pooling approaches and direct delivery. Much of the white paper content in this respect is largely a statement of intent, but the proposal that Government ‘will look seriously at any request from local authorities for Government powers to be used to support delivery in their local area, and will be prepared to consider all the levers at our disposal to do so, so long as this results in genuinely additional housing being delivered’, suggests potentially wide-ranging support. Whether this will extend to addressing the borrowing limits imposed on local authorities in respect of housebuilding, and considered by the House of Lords ‘Building More Homes’ report as arbitrary and in need of reform, remains to be seen. The Green Belt needs to serve the needs of 21st century society and this inevitably means some boundary amendments to allow cities to expand and avoid development leap-frogging the Green Belt to less sustainable locations. Whilst some commentators have looked for an overt recognition of the need to review Green Belt boundaries, the white paper does acknowledge the fact that changes to the Green Belt may be necessary but requires other options to be explored first. In this respect, whilst greenfield development will be necessary, it is right that a real focus is put on brownfield development because it generally presents difficult challenges as well as great opportunity and consequently needs to be stated as a policy priority. The white paper quite rightly highlights that some of the most desirable residential environments are high density neighbourhoods of mansion blocks, terraced houses and mews streets. The intention to amend the NPPF to encourage higher density in appropriate locations and in a way suited to local character is a positive move. However, it needs to be recognised that high density residential environments require good public transport and environments conducive to walking and cycling, with ready access to a mix of services and amenities. High density can in turn support these things and the real opportunities in our urban areas is often in transforming low density and low value commercial areas to new high density city quarters. To do this, we need to plan the relocation of some land-hungry commercial uses, away from central areas, and adopt more radical design solutions, such as multi-storey industrial buildings, common in some other countries but much less so in the UK. Crucial to realising opportunities of this type is the capture and recycling of uplifts in land value that are created. Better mechanisms for capturing uplifts in land value are important to boosting housing delivery because this can result in better quality, more sustainable construction and enhanced supporting infrastructure – all things that, if not adequately addressed, invariably lead to opposition to new homes and resulting delay. The proposal to provide new guidance on compulsory purchase and to keep the law under review are helpful steps and the appetite to support land pooling approaches, as used in Germany for example, offers the prospect of new approaches that more effectively capture land value and create places of lasting value and identity. But, perhaps more radical approaches need to be considered. This might, for example, include a system of ‘community interest in principle’ whereby significant allocations provide the opportunity for community interest acquisition of land, with a fair uplift paid to the landowner, and subsequent delivery within a masterplan framework through a variety of developers. So, overall, there is much to welcome in the housing white paper, but it could perhaps be more radical and definitive in addressing the fundamental causes of the housing crisis. Amongst its long list of proposals, the real tests will be the extent to which the measures provide adequate infrastructure investment, bring about significant diversification of the supply side, result in new models of brownfield renewal and lead to mechanisms to better capture land value uplift for reinvestment in infrastructure and quality.